A big thanks to Rob Schenk, who has uploaded to YouTube the Jack Arnold slideshow we all enjoyed so much at Summer Camp in San Francisco this year. 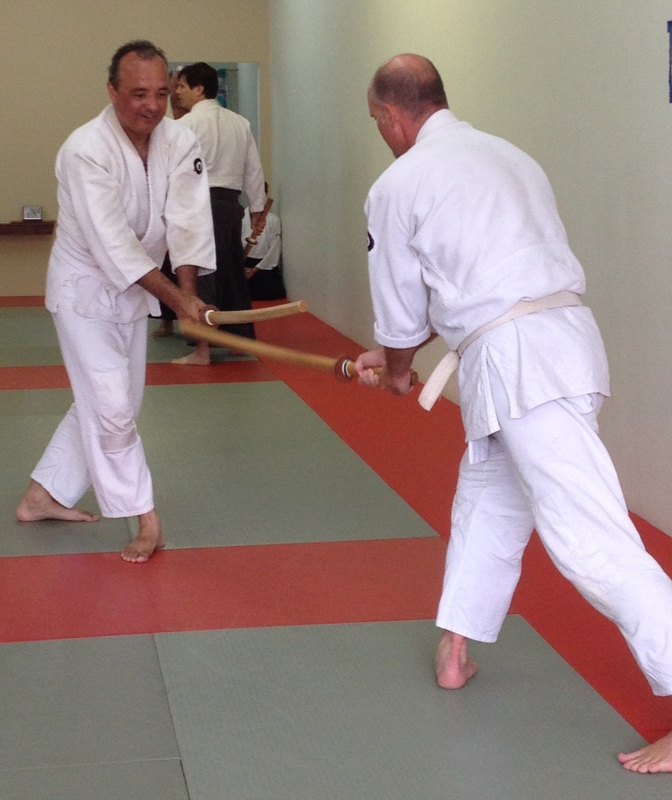 Please also check out the moving tributes here on the Aikido Daiwa Facebook page. 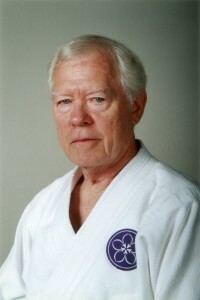 Dear Friends, It is with great sadness that we announce the passing of our beloved Jack Arnold Sensei, who died peacefully at home this morning with his wife, Melinda, and his students by his side. 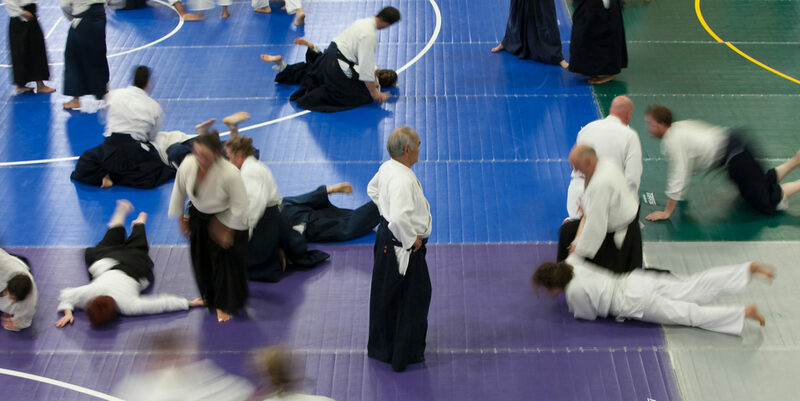 Arnold Sensei’s passing came just after Aikido Daiwa hosted a wonderful seminar by Didier Boyet Sensei that was attended by 70 people and served as yet another confirmation of his incredible life work. 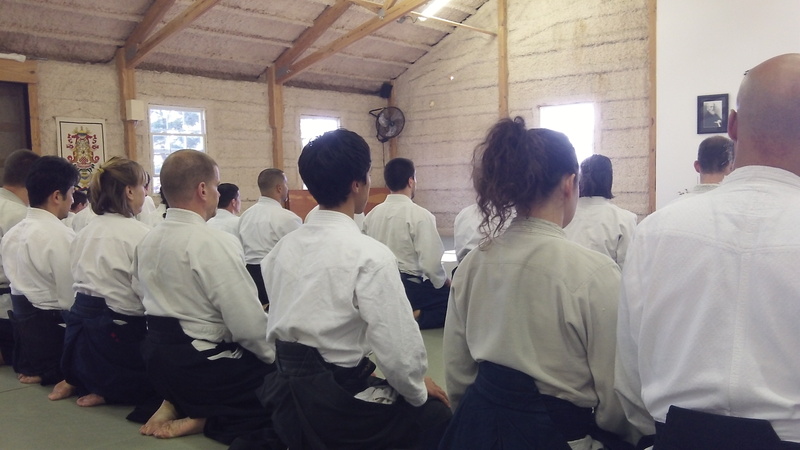 Arnold Sensei attended the Saturday evening party in good spirits and was able to view the legacy of his dedication to Aikido. He is loved and cherished, and we will all miss him. Michael Marquez, right, with Tom Dullam at Ventura Aikikai. Life and death. When thinking recently about what to write for this essay, this is the first thing that came to mind. Certainly, I also considered the several years of training I have experienced: the effort, time, sweat, injuries, frustration and joy. I recalled the support of my family, my wife and two daughters, and their understanding of my evenings away from home training, my Saturday mornings at the dojo, my attendance at Summer Camps and seminars. Memories of arriving home late in the evening as my two daughters are getting ready for bed, spending a few moments with them as they smile, running to me as I walk through the door, sleep heavy in their eyes, and listening to them telling me about their day.